Hello lets talk about Android Activity life cycle hmm. We know there are three buttons in android phone at bottom Back, Home, and Multitask. An Application which have only one Activity and life is beautiful. 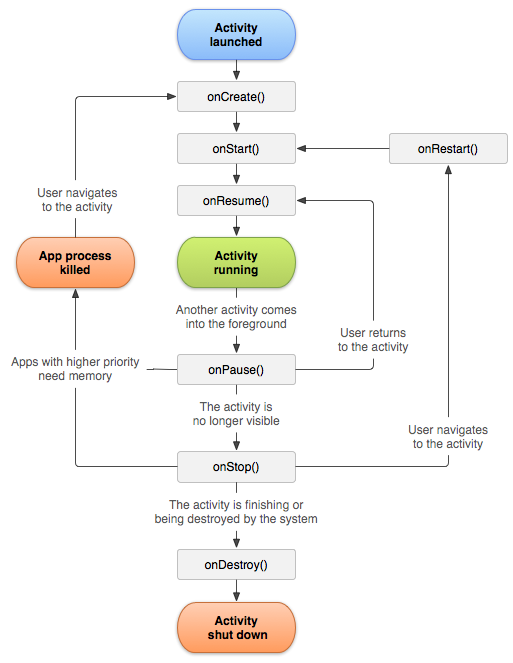 observations: we can clearly say that onCreate() method is called once when the activity first started and onDestroy() is also called once when the activity is killed (android removes the activity from the memory). But when we pressed the home button or multitask button android sends the activity in the background (the activity still there in the memory). After that we can bring the activity in the foreground by clicking the app icon or from multitask button. well its not as easy as it seems. Later i will discuss more about multiple activity.